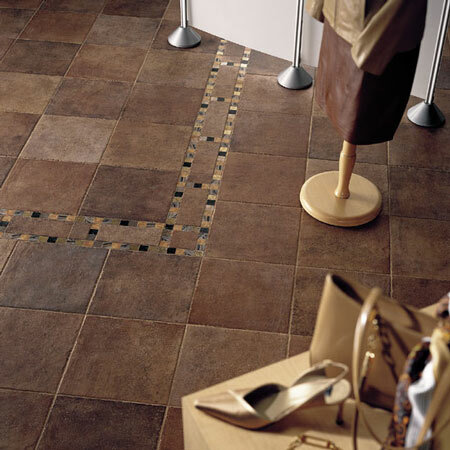 At first glance, Terra Antica is a stunning tile that emits a pure, Old World charm. Designed to simulate terra cotta but, upon further inspection, one can easily recognize the thoroughly modern design influences that are also at work. Random shading highlights this dazzling combination of textures and colors, making Terra Antica the perfect solution for both residential and commercial environments. It comes in four distinct colors, a variety of sizes and is enhanced by dramatic borders and corners with metallic insets. With an imported Mediterranean feel, Terra Antica brings a classic yet modern look to floors, walls, countertops, and more.